We hear a lot about these retractable window screens. Before we get into details, let us get to know the window screens in a better way. In the simplest of terms, it is a screen that is used to cover the window by some means that works towards keeping insects like flies and bugs away. This might be a metal wire carved into a mesh, or fiberglass or synthetic fiber. This screen is attached all round the window frame that prevents the insects from coming in. In the earlier days, these screens were replaced by glass ones during the stormy seasons. But now, we have a better option ahead of us. Here the key is that can be moved up and down as and when required. Side pull screen : As the name suggests, the window screen in this case can be moved to the sides for convenience. You may choose to install it as a right pull screen or a left pull screen. All of this totally depends on the installation. Porch screen : This kind of a screen has two side pull tracks and a single track top and bottom. This makes the whole process of opening and closing the windows a lot easier. Sometimes, you will also be given a stationary lock that will allow you to use one screen while the other is kept open. Patio screen : Your retractable window screens can also be used outdoors. These openings are rather wide. You would need really strong and sturdy window screens for this purpose. There are different kinds of retractable window screens based on your convenience. Fiberglass : Probably, this is the most popular type of a window screen. It can be subjected to adverse weather conditions and it will still remain the same. It doesn’t get corroded or rusted. But on the other hand, it is a little fragile. It will break more easily than the other options. Aluminum : This is a very strong and sturdy material that is used for window screens. It is given a finish after the initial manufacturing process. These will last for years, without sustaining any tears. Bronze : This is another option for window screens, made from 90 % copper and 10 % zinc. How to install a retractable window screen? Let us go through the process of mounting a retractable window screen on the window frame and then getting it installed. Measurements : This is the first step that needs to be taken when you want to install a window screen. You will be required to measure both the left and right, top and bottom of the frame and choose the shortest measurements of the values. Surface mount : In the next step, you will be required to add 3 inches to the largest length that you have measured and 3 inches to the longest height measurement. Selecting a screen kit size : Always remember to select a screen kit larger than the measurements you have taken. The products should be tallied with your measurements. Color selection : The color you choose for your window screen might make or break the décor of the room. So you need to ensure that you get the most appropriate one. Mounting hardware : Other mounting hardware like charcoal mesh and the likes will be included with your product. With all the advantages that a retractable window screen has to offer, it is one of the best options for keeping insects away. 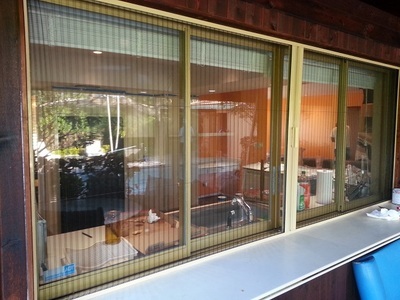 Hope you like all information about installing retractable window screens which suitable for your home or place.